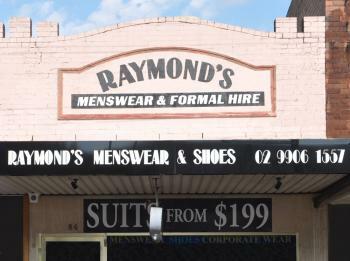 Raymonds was founded in Crows Nest by Raymond Nohra in 1985. Starting in Burlington St, before moving to the larger current premises in Willoughby Rd. Raymonds is a proud family run business with solid customer service values. Our team of experienced and well trained staff use their extensive products and style knowledge to make every visit to Raymonds Menswear a pleasurable one.